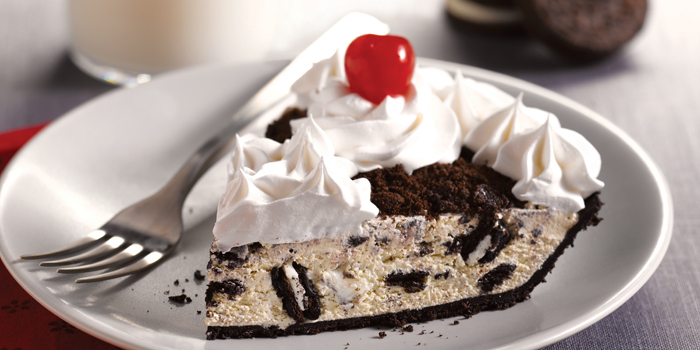 A crisp, dark chocolate OREO® cookie crust filled with sweet cookies and cream silk made with OREO® cookie pieces, bordered with real whipped cream and topped with a cherry. OREO® is a trademark of Mondelēz International group, used under license. OREO® is a registered trademark of Mondelēz International group, used under license. Pie varieties may vary by location. 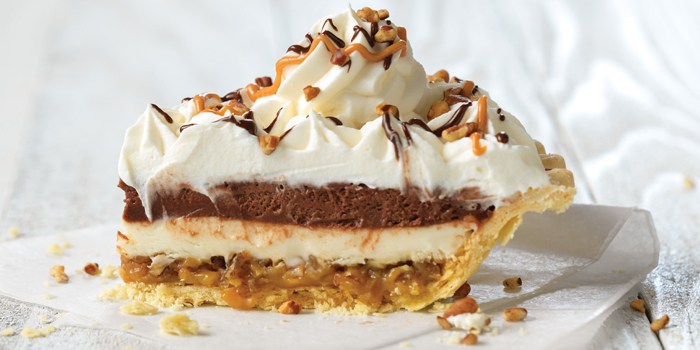 Pie availability may vary by season. 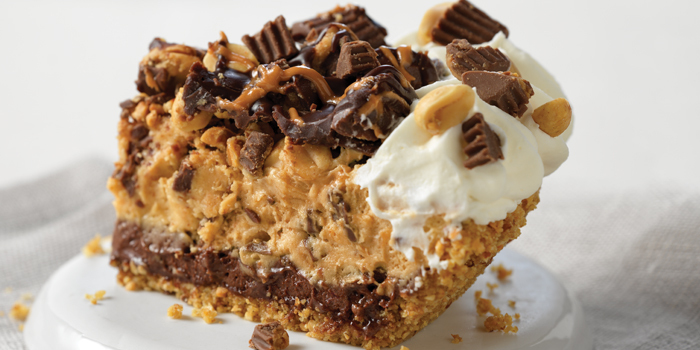 Our pies are produced in a facility that processes milk, egg, tree nuts, wheat, peanuts and soybeans.